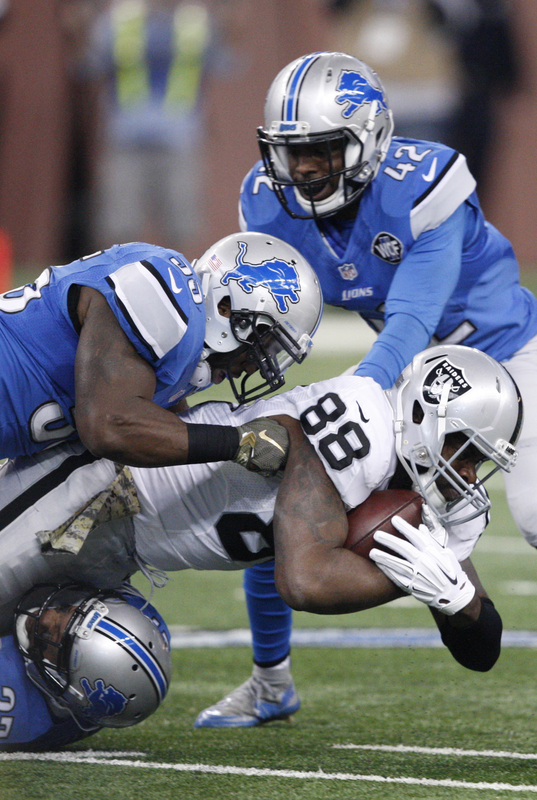 The Dolphins have signed tight end Clive Walford, per Pro Football Talk (via Twitter). Walford was most recently with the Jets, but New York decided to non-tender him earlier this month. He had two stints with the Jets and one stint with the Colts in 2018, appearing in only a single game. However, he showed some promise during his first two years in the league, hauling in 61 receptions for 688 yards and six scores across the 2015-16 seasons with the Raiders. Oakland drafted him in the third round of the 2015 draft but cut him last offseason. Walford will join new acquisition Dwayne Allen and second-year talent Mike Gesicki atop Miami’s TE depth chart. The Broncos aren’t expected to tender wideout Jordan Taylor, according to Mike Klis of 9News in Denver (via Twitter). The former undrafted free agent out of Rice spent four seasons with the organization, and he hauled in 29 receptions, 351 yards, and two scores between 2016 and 2017. The 27-year-old sat out all of last season as he recovered from offseason hip surgery. ProFootballTalk.com reports (via Twitter) that the Giants won’t be tendering cornerback Antonio Hamilton. 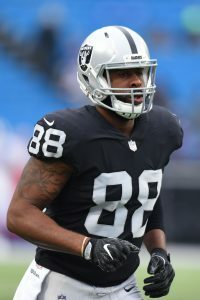 The 2016 undrafted free agent out of South Carolina State spent the first two seasons of his career with the Raiders, and he was claimed by New York prior to the 2018 season. He proceeded to appear in 13 games as a special teamer for the Giants, compiling six tackles. He was placed on the injured reserve in mid-December after suffering a quad injury. ProFootballTalk.com also reports (via Twitter) that Jets tight end Clive Walford won’t be tendered. The 27-year-old has 70 career receptions, although 61 of those catches came during his first two seasons in the league with the Raiders. His final season in Oakland saw him catch only nine passes, and he was released by the organization last offseason. Walford had two stints with the Jets and one stint with the Colts in 2018, appearing in only a single game. Clive Walford‘s time with the Colts has come to an end. On Friday, the Colts waived the tight end and promoted wide receiver Daurice Fountain from the practice squad to the 53-man roster. Walford, 27, joined the Colts in late November after the loss of Jack Doyle. While Eric Ebron has been heavily involved in the Colts offense, Walford did not see any snaps at tight end during his brief stint in Indianapolis. Fountain, a Northern Iowa product, was taken in the fifth round of this year’s draft by the Colts. He didn’t make the final cut, but the Colts stashed him on the practice squad in an effort to hone his athletic potential. Fountain put himself on the NFL radar last year with 66 catches for 943 yards and 12 touchdowns as a senior and the Colts feel that he can be a contributor down the road. The Colts are still clinging to slim odds of making the postseason, but Fountain could see some burn if they fall out of contention in the coming weeks. The Colts signed tight end Clive Walford, according to a team announcement. Walford will help fill in for Jack Doyle, who was placed on injured reserve earlier this week. Colts tight ends have caught 18 of Luck’s 32 touchdown passes this season, so Walford may have an opportunity to shine in Indianapolis. Then again, eleven of those TD grabs belong to Eric Ebron, and the UNC product figures to be the primary tight end going forward. The Colts also have tight ends Erik Swoope, Mo Alie-Cox, and Ryan Hewitt on the roster, though they were sidelined on Sunday. Walford, a third-round pick of the Raiders in 2015, missed the Jets’ final cut in the offseason. His best season came in 2016 when he hauled in 33 catches for 359 yards and three scores. Last year, he had just nine catches for 80 yards with Oakland. He’s worked out for multiple clubs in recent months, including the Seahawks, Bengals, Lions, and Packers. The Lions worked out tight end Clive Walford, according to Ian Rapoport of NFL.com (on Twitter). Walford has been hitting the workout circuit hard as of late and is coming off of recent auditions with the Seahawks and Bengals. Rapoport expects him to sign somewhere soon, and a deal could come together in Detroit. The Lions currently have two newcomers leading their TE group in Luke Willson and Levine Toilolo. Last year’s fourth-round pick, Michael Roberts, is positioned as the team’s third TE, but he’s missed the club’s last three games due to a knee injury. The Lions’ Week 6 bye will give him a chance to rest up, though his status for Week 7 against the Dolphins remains murky. Walford, a third-round pick of the Raiders in 2015, missed the Jets’ final cut in the offseason. His best season came in 2016 when he hauled in 33 catches for 359 yards and three scores. Last year, he had just nine catches for 80 yards with Oakland.